I read this article and found it very interesting, thought it might be something for you. The article is called What I Did With My 0.99 Sq M Of Mumbai and is located at https://archive.indiaspend.com/mumbai-special-the-revival-agenda/what-i-did-with-my-0-99-sq-m-of-mumbai-24036. Tucked away in a quiet Northern Mumbai suburb, the city’s growing space crunch hit me around the same time I realised I was no longer a little kid. With the tumultuous years of adolescence, came a greater demand for “space” (not just personal) and anger about the lack thereof. Now as I look back, I count myself lucky. We too were first blind to Mumbai’s ubiquitous lack of space. We innocently (and dangerously) played cricket and football on narrow by-lane strips as scooters and cars swerved by. Yet, save for the occasional sharp sound of a shattering window-pane and its aftermath, we were largely cocooned from the wider reality of our poor accessibility to playgrounds and parks. It was only in my teens, during my daily commute to a South Mumbai college, with regular exposure to repulsive odours and confounding fights over two inches of leg room in suburban trains/ buses that it dawned on me. Space is a luxury here. Around that time, the Urban Design Research Institute (UDRI) in an Open Spaces study of Mumbai 2007 estimated that citizens have access to a total of 2318 hectares of space. This is a per capita open space ratio of 1.86 square meters for a city bursting with a population of over 12.4 million. In 2012 the Municipal Corporation of Greater Mumbai (MCGM) in its own existing land use survey of Mumbai, put the per capita open space ratio at 0.99 sq. m for a total of 1228.6 hectares open space. The corporation carried out this exercise in preparation for creating the Development Plan for 2014-2034, and included play grounds, recreation grounds, swimming pools and fish-drying grounds. 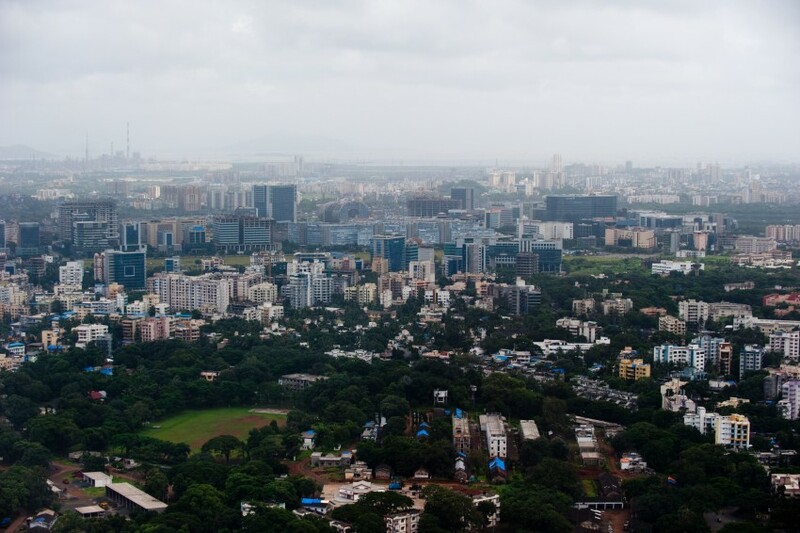 It discounted spaces that do not fall within the MCGM’s limits such as the Sanjay Gandhi National Park, Defence land and the Mumbai Port Trust area. That’s roughly the size of space every Mumbaikar has access to if one walks about holding a hula hoop round the waist. According to the Central government’s Urban and Regional Development Plans Formulation & Implementation (UDPFI) Guidelines 1996, the ideal open space ratio in any urban area is 10 sq. m per person. In world city comparisons, the per capita open space ratio for London, New York, and Shanghai are said to be 4.84 sq. m, 7.2 sq. m, and 9.16 sq. m respectively. And if we don’t have enough already to grudge the capital for, a 2011 report by global real estate consultancy firm Jones Lang LaSalle pegged the Delhi per capita open space ratio at 15 sq. m.
Further, the Environment Improvement Society (EIS) of the Mumbai Metropolitan Regional Development Authority in a 2012 report stated that the public cannot access more than half, or 1999, of the existing 3246 open spaces in Mumbai. Of these, 835 have been encroached on while others are private. The EIS added that the remaining 1247 accessible spaces face restrictions of time limits (days/ months open to public), selected entry etc. The staggering statistic of 0.99 sq. m alone is disturbing. A study by the Indian Institute of Human Settlements (IIHS) based on the 2011 census data, says that while the city’s population has increased by around 15 per cent from 2001 to 2011, its built-up area has had a growth rate of over 35 per cent. With the attractive pull of Mumbai hardly waning, real estate and infrastructure demands have exponentially grown. Efforts to improve the quality of life lag behind. It has been seven years since a controversial open spaces policy for the city (that virtually gifted plots of land to politicians under the guise of maintenance) has been stayed by the state government. Numerous drafts for a fresh policy have been drawn since 2010 yet a final decision is awaited. In fact the latest draft has been gathering dust in the MCGM for eight months now as the deliberative wing has yet to see it. Are we reaching a point of no-return? My teenage angst resented the lack of accessibility, yet it accepted that gully cricket and football are undeniably the heart and soul of urban Indian neighbourhoods. Today as these sections are rapidly redeveloped and gullies are peopled with parked (and double-parked) cars, sadness and nostalgia replace anger.